We have marked a remarkable position in the market by offering the best quality array of Steel Bucket Handle. Our firm is a trustworthy enterprise, engaged in offering excellent quality Powder Coated Bucket Handle. 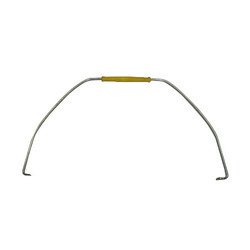 We offer specially designed M.S.Handles for Bucket. These Handles are available in variety of shapes and are checked for their weight lifting capacity before they are sent at client’s end. Bucket handle for sizes 9 Ltr to 13 Ltrs are available in charming lady loose grip. Loose grips available in different colours of your choice. Also available at very competitive price. - In all sizes, shapes, with zinc/nickel plated with and without rubber grip suitable for buckets , shopping baskets, cycle baskets , etc. BUCKET QUEEN WITH STEEL HANDLE. In fulfillment with advanced market developments, we are offering an elite array of Bucket Handles. Also, our clients can avail the entire range from us at affordable rates. 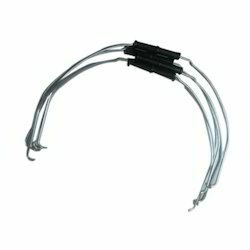 We are offering high quality Bucket Handle to our valued customers from industrial and commercial areas. Offered Bucket Handle is made with the high quality Stainless Steel. Matching up with the ever increasing requirements of the customers, our company is engaged in providing Paint Bucket Handle. Specification: 3ltrs, 5ltr, 7.5ltr, 10ltr, 15ltr, 20ltr. Matching up with the requirements of our clients, we are involved in offering MS Handle.